Online gaming is all about connecting with players from all parts of the world. Top games like the hit Fortnite connect 125 million players worldwide. But to connect and play well from this little corner of the world, Kiwi players need unlimited broadband plans with ultra-fast speeds. In New Zealand, the roll-out of fibre broadband means many suburbs and towns can either get fibre, or will get fibre soon. In 2018, more than 1.25 million households and businesses in NZ have access to fibre and 40% of those are actually connected. By the end of 2022, fibre will be available to 87% of Kiwis. If you are in an area that cannot get fibre, VDSL offers download speeds of up to 70Mbps and upload speeds of up to 10Mbps, with most companies offering competitive unlimited broadband plans. However, if you can get fibre, the world’s your oyster with ultimate speeds of up to 950Mbps download and 500Mbps upload, as long as you are prepared to pay. VDSL Unlimited or Unlimited Fibre 30 – $73 per month. For VDSL connections for those who cannot get fibre, or fibre speeds of 30/10Mbps. Unlimited Fibre 100 – $78 per month. Fibre speeds of 100/20Mbps. Unlimited Fibre 200 – $88 per month. Fibre speeds of 200/20Mbps. Unlimited Fibre Ultra – $98 per month. Fibre speeds of 900/500Mbps. Skinny customers can either sign up for 12 months, or pay $49 for a standard connection fee and $99 for a Skinny modem. 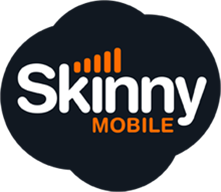 Skinny’s unlimited broadband comes with no data caps or fair use policy. VDSL Gamer/Fibre Gamer 100 – $84.99 per month. VDSL speeds or fibre speeds of 100/20Mbps. Ultra-Fast Fibre Gamer – $109.99 per month. Speeds up to 950/500Mbps upload. These plans are on a 12 month term and an early termination fee of up to $240 applies. VDSL Unlimited/Fibre 100 – $74.99 per month. VDSL speeds or fibre speeds of 100/20Mbps. Ultra-Fast Fibre Pro – $99.99 per month. Fibre speeds of 950/500Mbps. These plans are also on a 12-month contract and include a free modem. However, if you don’t want to be locked into a contract, MyRepublic’s ‘Flexi Plan’ costs $5 a month more and you will have to pay $99.99 for a modem. For all MyRepublic plans, a fair use policy applies. Unlimited – $84.95 per month. VDSL speeds or fibre speeds of 100/20Mbps. Unlimited Gigantic – $99.95 per month. Fibre speeds of 900/450Mbps. These plans are either on 12-month or 24-month contracts with free modem rental (you must pay 14.95 postage and packaging). Slingshot also offers broadband discounts if your home also signs up for power. It offers homeliness and mobile phone plans if you want all your bills together. VDSL & Fibre 100 – $84.95 per month. Applies for a 12-month contract. Fibre speeds are 100/20Mbps. VDSL with UE Boom 2 or Fibre 100 with Apple TV – $89.95 per month. Applies to 24-month contract. Gigantic Fibre – $99.95 per month. Applies to 24-month contract. Speeds of 900/450Mbps. The plans include free modem rental (you pay $14.95 p&p), plus other bonuses with the 24-month plan. 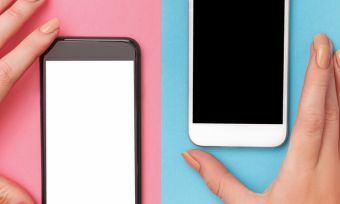 Orcon also provides incentives for bundling power in with broadband, and it offers mobile plans so you can have all your utilities on the one monthly bill. Boost – $109.50 per month. Speeds up to 950Mbps. Stuff Fibre’s plans are for unlimited data and have no set-up costs, with a Gigabit router included for free. It also has the option of upgrading to a high-end router for $299. Unlimited – $85 per month. Either VDSL or fibre speeds of 100/20Mbps fibre speed. Ultimate Unlimited – $110 per month. Fibre speeds up to 900/400Mbps. With these plans, customers can choose their terms. On a 12-month contract, standard connection and modem rental are free (you pay $15 p&p). On an open term contract, you’ll need to pay $165 for a modem and a $99 connection fee. 2 Degrees mobile customers also receive $10 off their plan. A fair use policy applies to the unlimited broadband. VDSL/Fibre 100 – $89.99 per month. VDSL or fibre speeds of up to 100Mbps. Fibre 200 – $109.99 per month. Fibre speeds up to 200Mbps. Fibre Max – $119.99 per month. Fibre speeds up to 700–900Mbps. All of these plans are for a 12-month plan and come with online chat support, free standard install and modem (you pay $14.95 p&p). Vodafone also offers customer the opportunity to upgrade their plans to the ‘Ultimate Home’ package for an extra $5 per month. This includes bonuses like Vodafone TV Intro and 24/7 ‘Ninja support’. Vodafone customers can save $10 with an eligible on-account mobile phone. Unlimited data is for residential use only. FibreBASIC – $94.99 per month. Fibre speeds of up to 50Mbps. VDSL – $99 per month from 1 October 2018. VDSL speeds. Ultra Fibre 100 – $104.99 per month. Fibre speeds up to 100Mbps. Ultra Fibre 200 – $119.99 per month. Fibre speeds up to 200Mbps. FibreMAX – $139.99 per month. Fibre speeds 700-900Mbps. Spark offers a range of deals for 12-month and 24-month contracts, including free standard installation and modem (you pay $14.95 p&p). Its current deals include six-months half price with a 12-month contract, and Ultra Fibre 100 for the FibreBASIC price for the first 12 months. Spark plans also include Netflix for 6 Months, Lightbox Standard Plan and Spark WiFi available from hotspots. It also offers packages if you bundle mobile with broadband.